My recap from the Atlanta Pen Show is going to be a doozy, so I figured I’d break it out into a couple different posts. The first one is simple: a picture of my “show haul,” since I went a little crazy this year. (Hey, I’m not attending another show until D.C. in August, right?) Pictured here, clockwise from left: Penvelope 6 from Franklin-Christoph, Wax Seal Stamp from Papier Plume, Iroshizuku 100th Anniversary Hoteison (green black) and Bishmonten (a pinkish red) from Vanness, Lamy Crystal Topaz from Vanness, a Leonardo Momento Zero in Matte Black from Dan Smith (the Nibsmith), three pens from Shawn Newton (two Orvilles and a Prospector), and two hand-sewn pen cases from PK Custom Goods! More details to come via a full recap later this week. On paper, everything pointed to Baltimore being just an ”ok” show. The weekend started with snow and the Sunday forecasts were even nastier, which ordinarily translates into low turnout. The show was also set in a single ballroom, which typically signals a smaller show with fewer vendors. Finally, the Baltimore Pen Show is the second (and smaller) of two shows in the greater Baltimore-Washington area, with the other show being the “Supershow” held in August, which is a hard act to follow. The Baltimore Pen Show ballroom from the back looking forward, early on Sunday morning. Note to other pen show organizers: wide aisles + good light + air conditioning = happy everybody. None of this mattered. Organizer Bert Oser and his team, led by Corinne, did an exceptional job coordinating the weekend, and the entire show went off without a hitch. (And if there were any “hitches,” they weren’t visible to attendees or vendors.) So what made Baltimore such a good pen show? Hotel and Location. Sure, it’s hard to get excited about an airport Marriott, but it’s also nice to have a shuttle running to/from the Airport, reducing transit time and expense for people coming in from out of town, which is especially important if you have dicey weather. Better yet, this hotel was well-ventilated with good air conditioning, so the ballroom wasn’t 1000 degrees, and the bar setup was pretty good with tables and a secondary sports bar attached to the hotel that stayed open later after the lobby bar closed. I’d definitely attend a show at this hotel again. Ballroom Setup. Despite my initial hesitation, the single ballroom turned out to be one of the best things about this show. Baltimore isn’t the largest show in terms of number of vendors or attendees, but the mix and quality of the vendors was exceptional. More on that below. The ballroom was bright and easy to navigate, with wide aisles and plenty of room behind and between tables. Events. Show organizer/promoter/hype-master Corinne described this show as “Pen Camp,” and it definitely had that vibe. All three days featured classes and workshops, with events at night. On Friday night, Brad Dowdy of The Pen Addict featured a “Meet the Makers” panel; Saturday night featured the obligatory “Pen Shows after Dark” meet and greet/show and tell in a commandeered conference room that we almost - but not quite - got tossed out of; and Sunday was your typical laid-back final day where vendors got a chance to breath and walk the show for themselves. Friendly Attitude Among Vendors and Attendees. Baltimore had none of the near-hostility that can develop at larger, more crowded, and less well-managed shows like the D.C. Supershow and the L.A. Pen Show, which I wrote separately about last week. From what I could tell, everyone had a great time, and I had better conversations at this show than I’ve had in a long time, not to mention getting to try a ton of pens. Just check out the video from the “Pen Shows After Dark” meetup and spy all those pens on the table, just waiting to be shared! Jonathon Brooks was next to Hugh Scher of the Kanilea Pen Company all weekend. You could lose a lot of money in that corner! For custom and “small-batch” makers, Kanilea Pen Company, Carolina Pen Company (Jonathon Brooks), Desiderata Pens, Woodshed Pen Company, Herbert Pen Company, Additive Pens, Franklin-Christoph, and Ryan Krusac Studios. For Nib Workers and Pen Restorers, Richard Binder, Ron Zorn, Martin Ferguson, Nibs on Point (JC Ament), and JJ Lax Pen Co. (who also had Yoshi Nakama pens in stock, and no, I still haven’t picked one up). For general retailers, you had Vanness Pens (where I was working), Federalist Pens, Total Office Products, and Nock Co.
For vintage retailers, in addition to the typical traders, you had Paul Erano, Jessica Coles of The Vintage Pen Shop, and Nik Pang (who also set up for calligraphy). For distributors and manufacturers, you had Coles of London (Visconti), Kenro Industries (Montegrappa, Esterbrook, and Aurora), and Private Reserve Ink. FInally, the Baltimore show featured a number of local specialty shops, including Write Notepads, The Queen’s Ink, Drama Mama Bookshop, and Jinji Chocolate. It added a great local flair to what was already a top-notch show. I’m sure I’ve missed a ton of people, but I didn’t have much time to walk the entire show (plus I’m forgetful), so apologies in advance! And I did forget someone! Story Supply Co. was there with all of their standard and special edition notebooks! As always, Franklin-Christoph brought trays of prototypes, which went quickly each morning. Jerry from Additive Pens brought a bunch of new models to test, including these “ribbon” and “inverted ribbon” models. Baltimore wasn’t a huge show shopping-wise, but I did bring back a couple of interesting pens that you all will see up on the blog in the near future. In terms of pens, I purchased one of the “Double Helix” eyedroppers from Additive Pens, which I’m excited about reviewing. I also picked up a Parker 51 “Fantasy” by Nik Pang, which incorporates a classic Parker 51 nib and aerometric filling mechanism into a new body and cap. Finally, I took home a Spoke Pen Prototype and few bottles of ink from Vanness that I’ve been meaning to try. From left: Additive Pens “Double-Helix” eyedropper, Spoke Pen Prototype, and my Parker 51 “Fantasy” from Nik Pang. From Left: 3 Oysters Black Moss, Taccia Ebi, Taccia Uguisu, and Private Reserve Burgundy Mist, a former favorite of mine that’s recently been reformulated. I can’t tell you how much time I killed at work playing with this Additive Pens eyedropper yesterday. I definitely plan to come back to the Baltimore Pen Show next year. It might actually have become my favorite overall show on the circuit, though I’ve heard that the Philadelphia Pen Show has a similar vibe and I’m going to make a point of attending. Next stop for me is the Arkansas Pen Show in Little Rock next weekend, followed by Atlanta at the beginning of April. Then I’ll need a break…. until D.C.! Disclaimer: This post contains links to paid sponsors and affiliates. Many thanks to Mike and Lisa Vanness for letting me tag along and work the Vanness table this weekend! 2019 Baltimore Pen Show: Friday Pictures! The Baltimore Washington International Pen Show has grown into one of my favorite shows on “the circuit.” It’s a well-run, medium-sized pen show that may not be the largest out there but attracts a great group of vendors and attendees. I’m back behind the Vanness Pens table this weekend, winding towards the end of my insane February-March travel schedule, so come visit and get your hands on all the pens, ink, and paper we brought with us before it’s gone! The Vanness-Shawn Newton collaboration, the Pinnacle, is nearly sold out with only one or two pens remaining, and we very quickly sold out of certain colors of Akkerman ink. As is usual on pen show weekends, I’ll have a full recap with my thoughts on this show up on the blog next week. The Vanness Table. We’re to the left against the wall as you enter the ballroom. Vanness brought all sorts of Aurora pens to the show, including the last of the Minerali demonstrators, Optima Flex Pens, and some new limited editions! What are you lookin’ at? Cary mans the Kenro table across the aisle from us. 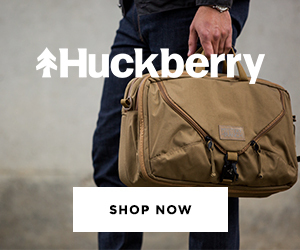 The Joey Feldman/Rickshaw bags collaboration intended for the L.A. 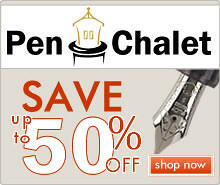 Pen Show is finally available for Baltimore! Come see these, they’re great! And finally, we have the full range of Pilot Custom 74 demonstrators. These are excellent pens that don’t get the love they deserve, for some reason. The nibs are outstanding and the price point is excellent. 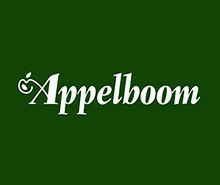 Stop by and try one out! Baltimore Washington International Pen Show (March 1-3, 2019). I will once again be behind the Vanness Pens Table this coming weekend! If you’re at the Baltimore Show, stop by and see me. 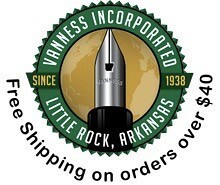 Arkansas Pen Show (March 15-17). I’ve never attended this show before, have been meaning to go for the past few years, and I’m not going to miss it again! Especially not the open house at Vanness Pens and the $10 weekend pass. 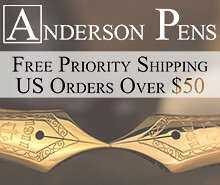 Atlanta Pen Show (April 5-7). After a little bit of a break, I’ll drive to Atlanta for what’s basically my “home show” since it’s only about four hours away. It’s also the site of the annual Pen Addict Live show. The Kickstarter is running now, with some great rewards and extras if you back. 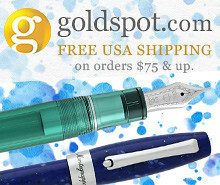 Washington, D.C. Fountain Pen Supershow (August 1-4, 2019). In all likelihood there will be no planned pen show trips between Atlanta and D.C. That’s a busy time for me in terms of family vacation and work, but I’ve attended D.C. every year for the past several years and for all its “challenges,” it’s still the Big Show. 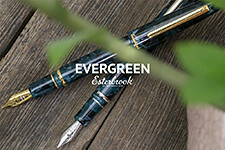 San Francisco Pen Show (August 23-25, 2019). This one is a stretch, and will depend on how busy my August is at the Day Job, but I’ve heard so many good things about the SF Pen Show (aka “The Fun Pen Show”) that I’m going to make every effort to be there. I’ll be behind the table at Vanness Pens for at least part of this year’s Baltimore Pen Show. Other shows that I consider attending every year include the Chicago Pen Show from May 2-May 5, the Triangle Pen Show from May 30-June 2 (Raleigh-Durham, North Carolina), the Dallas Pen Show from September 27-28, and the Ohio Pen Show (Columbus, Ohio). Most of these are last minute trips, and I currently don’t have concrete plans to go, but hey, you never know…. Pick the right show. My first pen show was the Ohio Pen Show in Columbus, which was just the right size. It’s a mid-sized show, but definitely bigger than anything I imagined could exist at that time. I attended a couple of other smaller shows before I tried a larger show like D.C., which can be overwhelming and take you three days to fully explore. Bigger shows also attract large crowds, especially on the weekends, and I actually enjoy the smaller and mid-size shows because it’s MUCH easier to talk to people. Don’t try too hard and take your time. It’s supposed to be fun. You don’t need to see everything at a show, and even that’s probably an impossible goal for your first excursion. Pick out 3-4 pens you want to see/look for and make those your focus. Don’t spend too much money. Set a budget. In addition to getting overwhelmed, it’s easy to get carried away and purchase stuff that you don’t really want or need “just because it’s there.” Know yourself. If you’re prone to overspending, leave the credit cards at home. Eat. Somewhat self-explanatory, but it’s also easy to get caught up in everything, miss lunch, and the next thing you know you’re crashing mid-afternoon. Socialize. I waited far too long to take advantage of the opportunity pen shows present to hang out and meet people who you may only know via the internet. Don’t miss the chance to put faces with names, it’s one of the best parts - if not THE best part - of the pen show experience. If you’re staying at the show hotel (something I recommend), after-hours at the bar is a great opportunity to try out different pens and ink that people bring with them. 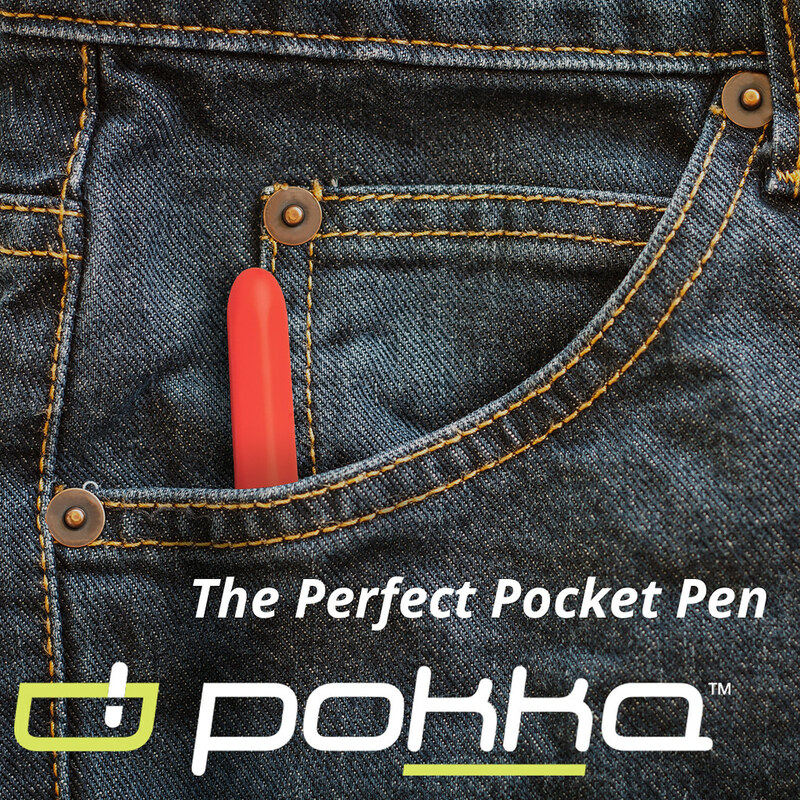 Take Advantage of the Opportunity to Get Work Done on Pens. Maybe you have a nib that doesn’t write well, or you’d like to try a custom grind? Pen shows are a great way to get pens worked on by a “nib doctor” in person, which is much more efficient than sending pens back and forth through the mail. Plus they can see how you write with the pen and adjust the nib accordingly, which makes a huge difference. Bring a Pen Case with Room and Plastic Bags for Ink. For shows, I travel with one of my Aston Leather 10 Pen cases, as well as a bunch of Ziploc sandwich bags (heavy duty or double seal) to wrap ink in for the trip home. Most ink bottles are less than three fluid ounces, which can go in your carry-on bag, but some TSA checkpoints enforce the “all-liquid-in-a-plastic-bag” rule so be prepared! Don’t forget to plan: How am I going to bring all of this home? This post just scratches the surface. Over the years, I’ve written several detailed pieces about attending shows, and don’t really have too much to add to them. Check out Pen Show Primer, Volume 1: Why Visit a Pen Show; Volume 2: Getting Ready for a Pen Show; and Volume 3: Tips for Surviving the Pen Show. Give me a shout if you want to meet up in Baltimore or at another future show!